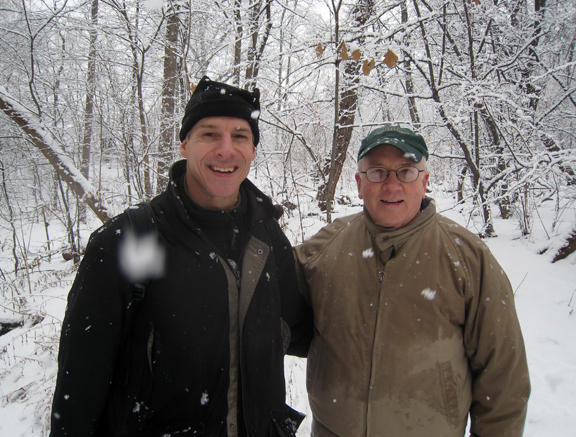 Edward S. Barnard, the author of New York City Trees, is presently writing a book on Central Park trees. He has also written five books for children on animals and edited several dozen books on natural history. He is keenly interested in old growth trees and has volunteered as a tree ring technician at the Lamont-Doherty Earth Observatory. Ken Chaya is an artist and art director who has produced numerous books on travel, American history, and nature. He recently created Central Park Entire, The Definitive Illustrated Map, which locates over 19,000 trees and identifies them by species. He lives in New York City with his wife and son and one dog, which he walks in the park everyday. The folding map measures 36 x 26 inches unfolded. The southern half of the Park is printed on one side, and the northern half is printed on the other. A full-color Tree Legend appears on both sides. To order the folding version of CENTRAL PARK ENTIRE printed on durable, waterproof synthetic paper, simply click on the “Buy Map” button below. Each poster measures approximately 59 x 17 inches and comes with a separate, full-color Tree Legend to help identify the more than 170 individual tree species found on the map. Posters and Tree Legends are shipped in sturdy cardboard mailing tubes. 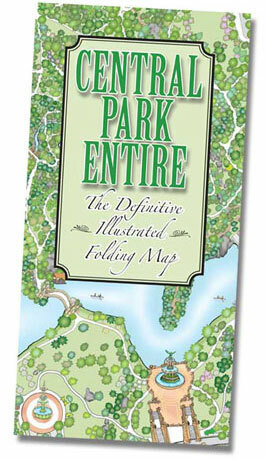 For more information, or to order a poster version of Central Park Entire, The Definitive Illustrated Map, simply click on the “Buy Map” button below. All images and artwork on this site are copyright protected. Copyright © 2011 Edward S. Barnard and Ken Chaya. For information about commercial usage or purchase, please contact us by using the CONTACT button in the main menu.